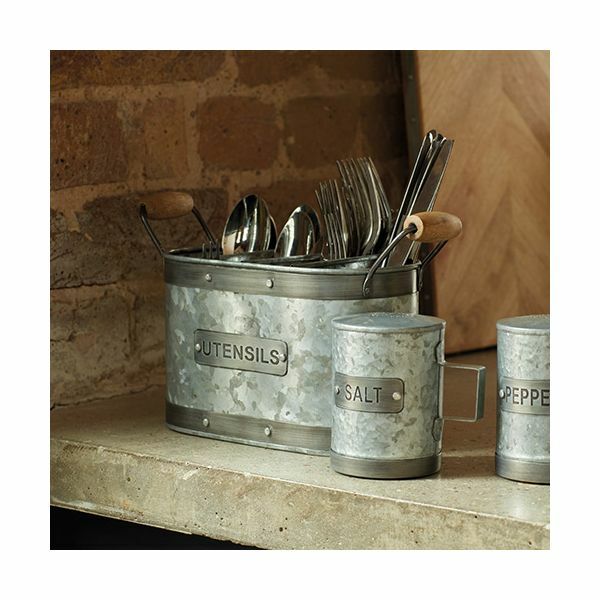 This Industrial Kitchen utensil holder is made from certified food safe galvanised steel for a refined and rugged look to your kitchen. 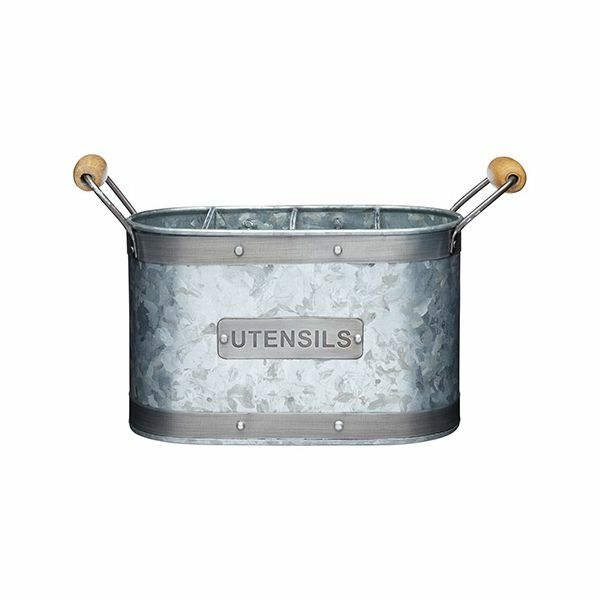 The large handles on each end allow a good grip when in use and great placing on your table setting. Great for both indoors and out and ideal as part of a matching collection.